Metro Exodus Preview : The Nuclear Doomsday Scenario Has Never Looked So Beautiful. Metro Exodus was the third and final part of the 4A series with the first two having previously remixed and released as Metro Redux. The game has been rebooted and remastered to allow gamer players to play it on present day consoles and upgraded computers for the PC version. Since it first appeared in 2010 the Metro franchise from 4A has proved itself to be highly popular. It is surprising to think that the nightmare scenario of a nuclear apocalyse could seem almost beautiful as the aftermath of a nuclear war would more likely to lead desolate and empty landscapes. Other apocalyse games whether caused by nuclear war or zombies just seem to be so grey in comparison. Believe it or not in Exodus the wastelands of Russia in the grip of a cruel nuclear winter still seem just as compelling a place to explore. The franchise has managed to maintain the bleakness of the background yet that very bleakness makes it should a compelling place to visit time and time again. The game is crafted so well by it’s designers that that it is impossible not to admire it’s beauty. The plot of Metro Exodus revolves around getting the main character with his family and friends to a safer part of Russia on a train. 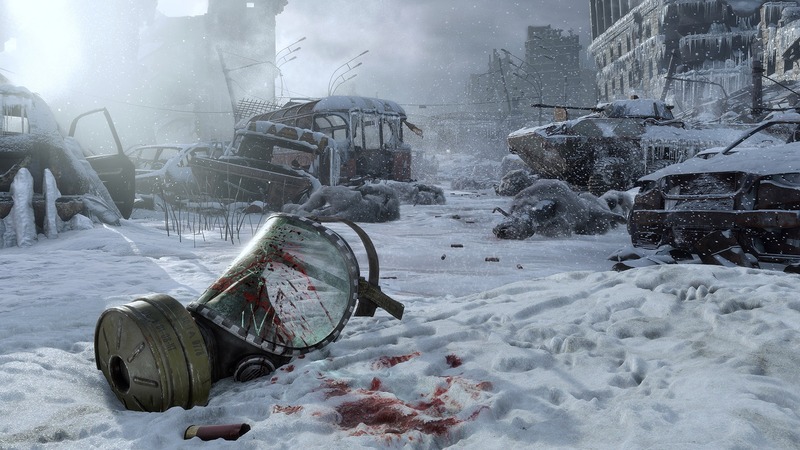 Artyom is the main character and as it can be expected from the previous parts of the trilogy has to overcome plenty of threats before his mission could be successfully achieved. As my two hour demo will show it is the start of an epic journey heading towards safety. In the very first part the train is attacked by a group of bandits. The beginning of the game is set in Spring, and each part of the game is named after one of the four seasons. Presumably each part of the game is of the same length, meaning that 4A manage to avoid taking Exodus into the open world. Even when the bandits have been beaten away there are still threats from razor sharp pieces of flying shrapnel and radioactive frozen lakes. Players are given their objectives, and either ignore them at your own risk, or do as you are instructed. For once I did the latter. I quickly stumbled across a paranoid cult who were really scared of any kind of advanced technology of the kind that had brought about the nuclear winter in the first place. Considering the arsenal of weapons and gizmos I was carrying at the time the cult members were not too pleased to meet me. Yet they gave me the option of killing them all, or sneaking away while they pretended not to see me. The great thing about Metro Exodus is that players do get to make choices, ones that will get them further or the ones that are more morally just and may get you killed. I like the options to be there, and if the consequences are not good then the alternative choice can be made the next time I play that level. Basically this game still has the same core that 2033 had back in 2010. Yet it has been made so that all the different systems used within it are perfectly balanced with each other. It is effective as 4A have continued to refine it. Take for instance the backpack that Artyom has with him. That backpack can carry a great deal of items. This is no ordinary shooter game, it is a great shooter game with plenty of nuance. Different parts of the game require differing weapons and tools are needed. I found that only specific things will do in certain parts, while on other parts any of the guns would get the job done, providing that there was enough ammo left. 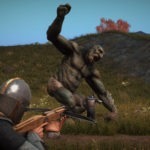 In the wilderness of Russia there are plenty of animals mutated by radiation and I found facing them without ammo meant I had to improvise other ways to deal with them. Keep an eye out for extra attachments for rifles as these come in really handy. A problem that needs addressing prior to the release of the game is the amount of bullets taken to kill opponents with a head shot. That needs to be looked at as it will make it harder for people to complete the game. I chose to play on the standard level, to get a fairer idea of how the game played. In a genre featuring many ruined worlds Exodus is the best presented and the most realistic. It stands out from the crowd. I like the idea that players can make choices about when to help others, or to decide to carry on regardless towards achieving their objectives. My first impressions are that Exodus is shaping up to provide an exceptional end to the trilogy. This was a demo version, so it should be really good to play once the finishing touches have been applied. It should give the series the finale, which it deserves. 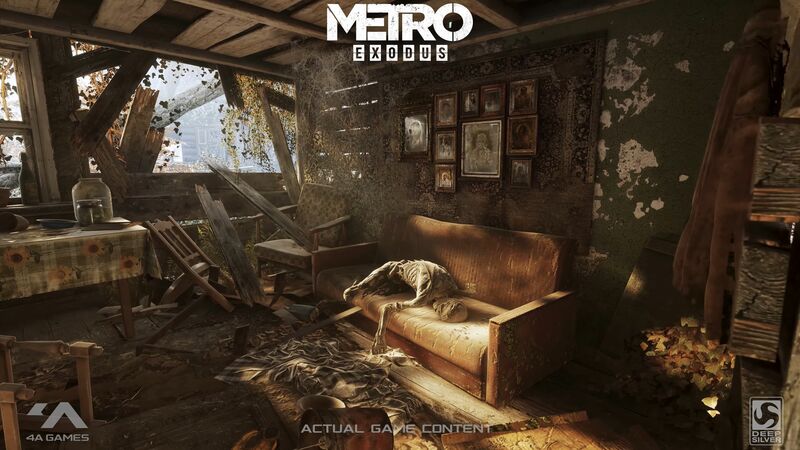 What is new about Metro Exodus? The new thing about Exodus is that the game moves away from the confines of a ruined Moscow as the survivors attempt to find better conditions and more chances of surviving by moving eastwards into the Russian wilderness. The move means that there is a lot more to explore and discover in this game. This game is a first person shooter game, one, in which you have the chance to pick up weapons, supplies and equipment as you go along. Whenever you play outside you have to wear a mask and you have to change the filter fairly frequently to keep yourself alive. When it comes to darker areas within the game there is a lighter or flashlight available for your use. It plays well apart from the fact you must not let yourself run out of ammo.